This stunning salad has a great combination of vibrant colours. 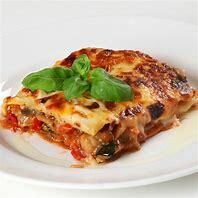 You can also add olives or capers at the end if you fancy them. Go on try it! 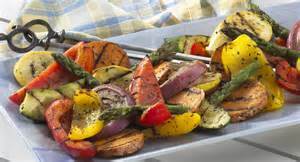 Make the marinade by crushing the garlic to a smooth paste with a little salt and add the oil, vinegar, coriander, sugar and pepper and mix well. 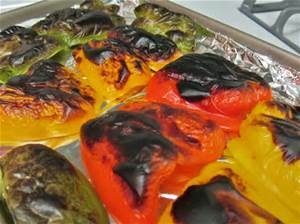 Place the peppers under a moderate grill, skin sides up. Cook until the skins blister, then remove from the heat, leave to cool slightly and peel. 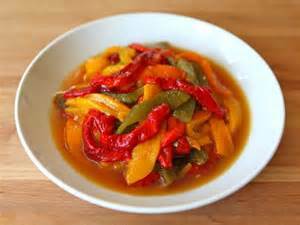 Cut the peppers into thick strips and arrange, alternating the colours, on a large plate. Spoon the marinade over the peppers, then cover loosely with clingfilm. Leave in a cool place for at least 30 minutes and then enjoy.